Earns $25+ Million in Corporate, Then Another $10+ Million as a Distributor! 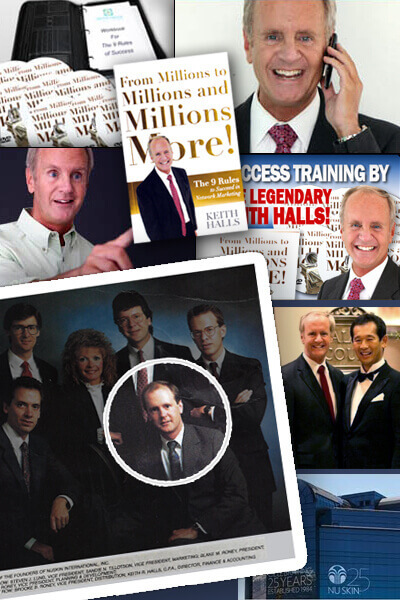 When you first meet Keith Halls, you would never know he is one of the "most successful persons ever in the history of Network Marketing." Mr. Halls is one of the most humble, kindest human beings you will ever meet - and the only person to have made more than $25 Million Dollars on the corporate side and then, at the height of his career, left to become a Distributor where he once again earned over $10 Million Dollars! He built an international downline of over 500,000 distributors within 4 years. 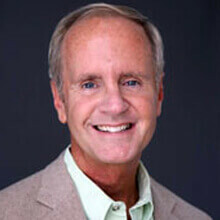 As an independent distributor, Keith has built huge downlines in not one, but two different companies. Back in 1984, Keith was a CPA and planning to become a lawyer. But after hearing the story of a new company, one that had not yet opened its doors, he left the dream of law school behind to become one of the 7 original shareholders and top executives of a then tiny, new company called NuSkin. Today, NuSkin Enterprises is a multi-billion dollar company and one of the largest and most successful ever in Network Marketing. Keith served as Senior Vice President, and as a member of the Board of Directors. After 17 years of working at NuSkin, being instrumental in helping with their public offering on Wall Street in 1996, Keith left in 2001 to pursue another dream: the dream of becoming a distributor to create a long-term residual income, and to help others to do the same. Keith's inspiring rags-to-riches story, his determination in overcoming a brain tumor and 8 abdominal surgeries, his kind and humble demeanor as well as his ability to touch people's hearts have made him an immensely popular and highly sought-after speaker, trainer and mentor. His book, The 9 Rules to Succeed in Network Marketing is a Network Marketing classic and one of the most widely read books in the profession.